QPaint is a family owned and operated painting company. Our painting services are affordable and of high-quality. QPaint is a 2nd generation family owned and operated painting company that is based in Brisbane. Our family has been painting homes, buildings, schools, and units for almost 40 years starting with Petros Senior in the early 70’s back when Brisbane was a big country town. With almost 4 decades of experience, we’ve been around long enough to know that a solid business is built on Trust and Credibility. We stand by our work and continually seek to improve our services and deliver projects on time and on budget. QPaint Brisbane painters have been in the Brisbane painting industry for over 35 years. We understand Queensland’s climate and know Queensland homes. Our paint stands up to the heat and our craftsmanship is of extremely high quality. We take pride in every job we take on, whether it is commercial or residential. All of our painters have years of experience and we understand how to get the best finish. Prep work for paint is the key to a great outcome and our painters will complete all prep work quickly but efficiently. Choosing the right painter in Brisbane can save you thousands of dollars in expensive repairs and repainting. Your home is your most valuable asset and it should be looked after. 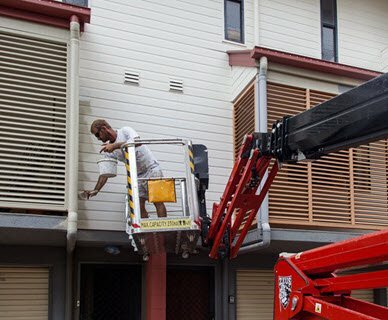 We are highly experienced in painting to protect homes from Queensland’s extreme environment. As part of our customer commitment, we provide a 90-day free touch up service. This means if your beautiful new paintwork is accidentally damaged by you or anyone else we will fix it up at no extra cost. Our experience is in both commercial and residential. We have worked on numerous government projects including schools and department buildings. One of our most gorgeous paint projects was on the heritage-listed cricket pavilion at Wacol. All projects we take on from homes to commercial properties are treated with great expertise and care. 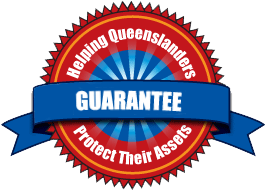 We service all areas of Brisbane including east, west, south & north. Ipswich and the Gold Coast. From the first moment I met Tas until the final touch ups were completed, I was very impressed with the level of professionalism and customer service from QPaint... The team onsite were always courteous and cooperative and the work was complete on time and on budget. Hi Angela, I also hoping you could pass on our thanks to Steve and Leo. They were very friendly, helpful and accommodating they did a fantastic job on the house. Hi Angela, Also, just wanted to let you know I was very happy with the job the guys did. I found the 3 staff very professional, really good to work with, extremely competent & easy to get along with so I am very happy with the result. Thanks for your help.